A top speed of 70 km/h and a range of 65 km. 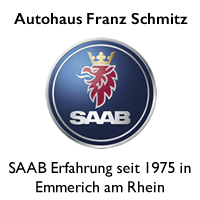 The first 100% electric SAABs rolled off the manufacturing belt in 1974 at a cost of SEK 14 million. Only one of the six prototypes built is still in its original state and this unique car was handed over to a delegation from NEVS on Saturday in The Netherlands witnessed by nearly 250 SAAB enthusiasts. 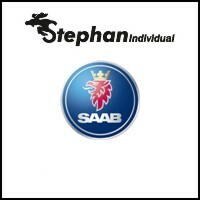 Phoenix rising from its ashes in a brand new SAAB showroom. 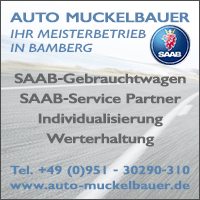 Initiative takers for the ceremony were Dirk Koppen and Bas Smit, owners of Saabpartners. 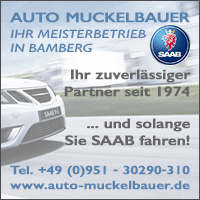 Saabpartners is a relatively new company that was started in 2011, right around the time of the Saab Automobile bankruptcy. 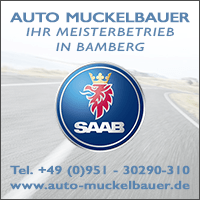 While they initially primarily focused on spare parts and specialized in engines and gear boxes, they now significantly expanded their operations through the opening of Saab Youngtimer Lease. Many people asked Dirk why he and he business partner Bas started this new company then and why they are expanding so significantly now- “if we didn’t have full faith in the business model and the fact that ultimately we’ll be seeing some great things coming from Trollhättan again, we would never have done it“. 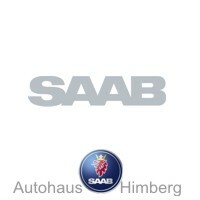 Some 250 attendees witnessed not only the official opening of the new Saab Youngtimer Lease showroom, but also the handover of the first SAAB EV to the delegation from NEVS. Royal Commissioner Jacques Tichelaar talked in his speech about the power of innovation and how this is connected to SAAB and commemorated the fact that even the Dutch prime minister Mark Rutte is driving one! Frank Smit and Hans-Martin Duringhof then captured the audience with a presentation about the future of NEVS, which was very much in line with Mattias Bergman’s earlier speech. They reemphasized the NEVS vision and confirmed the fact that they are on track to start building cars in Trollhättan again. The first SAAB EV will in any case be transported back to Sweden in the next few weeks where it will get a prominent place on the factory grounds. 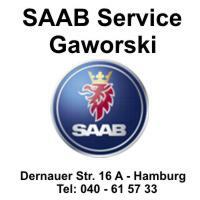 Dirk Koppen: The car is made in collaboration between SAAB and the Swedish Mail. Swedish Mail had come to the insight that they might not be able deliver mail in the future using fossil fuels. In Sweden, you have to keep in mind, distances are long so a motorized delivery vehicle is really necessary. Q: I don’t want to insult anyone, but this isn’t the world’s most beautiful car, right? A: No, not really. I believe that the practical side was the primary goal in this project. Look, the steering wheel is placed on the right side. The window can be opened entirely and the mailman so when they arrive at the post box –these are placed alongside the road in Sweden- all the mail could be delivered without leaving the car. Actually in the back of the car, all the parcels could be loaded so the car is very practical, almost like a small van. 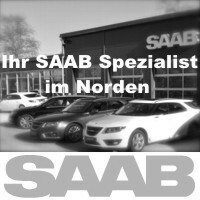 Q: How much SAAB is this car actually? A: Well, what not? The most important part is the chassis. The wheels, the bumpers, the steering wheel. 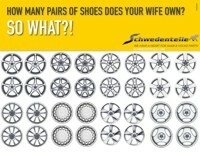 You can see however that they borrowed from a few other car manufacturers. As an example, SAAB didn’t have these straight tail lights, which may have come from a Volkswagen, and you can see some more style elements from that time. But you can see quite a few typical SAAB design elements like the wheels, but also the lock to close the hood with. 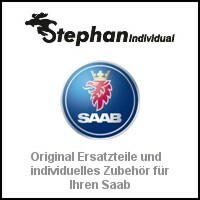 That’s the same lock that was used on the SAAB 95 and rear window from the SAAB Sonnet. Q: This car is still in The Netherlands, even wearing Dutch registration plates, but that’s going to change fast, right? A: Correct! We acquired this car from a private collection. On the occasion of the opening of our new showroom we wanted to present this car to NEVS, and they immediately said yes. In fact they partially funded it. Q: So, NEVS, remind me what this stands for? 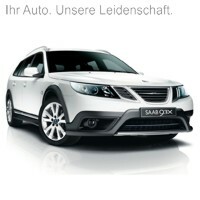 This is the electric successor to SAAB, or? A: NEVS stands for National Electric Vehicle Sweden and they are the new owners of the SAAB factories in Trollhättan. So the car goes back to its roots, to the factory in Trollhättan. Q: Will it be stored somewhere in a warehouse and collect dust? A: Well not really, it will be placed at the entry of factory, in the visitor area. Q: What are the specs of this car? A: Its top speed is 70 km/h and its range is 75 km. After that the batteries where exchanged. 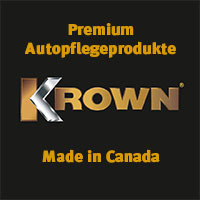 They were using the old traction batteries you will also be able to find in forklift trucks. This car uses 14 of these batteries and when they were depleted all the batteries were just swapped out in one go. You can see this at the back, a nice detail. There is a long shelf that holds all the batteries, so the entire shelf was being replaced and the old one was then connected to the charger. A very efficient system actually! Photo copyright: Jos Schuurman press agency and Lennard Schaap. 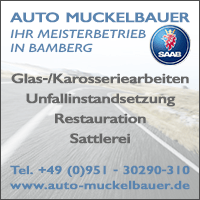 Wir wollen endlich mal ein richtiges “Elektro-Automobil” vorgestellt bekommen! dann sollst du leider warten mussen, dauert noch etwas……. 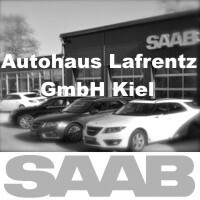 Wir reden hier von Vergangenheit und das Saab sich schon länger mit Elektro-Automobile beschäftigt. Zitat: ….manchmal wird man den Eindruck nicht los dass ALLE Autohersteller Ihre Elektroautos immer möglichst häßlich gestaltet haben, damit sie keinen Ärger mit Geheimdiensten erdölfördernder Länder bekommen. very interesting. Especially the “Re-Björn” business. I guess from all SAAB-Drivers around the globe, the dutch are the most committed and enthusiastic ones. Please keep it up. I’d like to read more about it. Thanks Herbert. 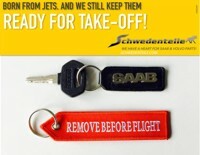 I know there are quite some passionate SAAB fans in many other countries but I agree that with this initiative the Dutch have proven their strong commitment once again! The reporter made a clear statement and wants to have……… yes, electric engines!